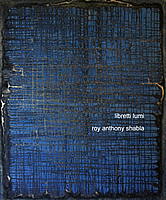 Roy Anthony Shabla is a respected poet, writer, artist, filmmaker, and bookmaker. His work in various media of the Arts and Letters has consistently achieved critical success. His book of ecstatic poetry, eating God, is hailed as the spiritual legacy of famed Sufi poet, Rumi, yet has its roots even deeper in the ancient Sanskrit (Vedic) texts, the Upanishads. His new book of poetry, libretti lumi, is a modern masterpiece exploring the effects of love and loneliness on a spiritual person. His prose ~ both fiction and non-fiction ~ is praised for its craftsmanship, clarity, and timelessness. His writing in every genre is a delight to the heart and an epiphany for the soul. Spoken word / language poetry / sound poetry ~ with music. Listen for free or download. This collection of traditional Zen Buddhist koans is lovingly retold for the modern student of Buddhism. The language and cultural details of the koans are simplified for the Western reader without diluting the cultural flavor or significance. Koans are Zen Buddhist teaching tools –riddles, anecdotes, and such– used to liberate the logical mind of the student. The linguistic nature of koans lends itself to poetic language and, thus, these koans are offered and expanded in poetry instead of prose. Even if you are familiar with the practice of Zen koans, this book will enhance your understanding of the koans themselves, further opening that important aspect of Buddhist monastic culture to you. A penetrating and simply powerful read for both student and master, open table is a landscape for the journey of the mind and soul. This small book of guided meditations will change your life. From the very first reading, you will feel a tangible effect. This work takes affirmations to an entirely new level and your spiritual life will thank you. Very advanced but still accessible to the beginner. A metaphysical triumph! Read this book everyday and you will live forever. this book of avant garde sound / language / deconstructionist poetry is written in spanish, english, and yiddish with an extra section in japanese and highlights in ukrainian. it is a magical, musical descent from nonsense to gibberish that will change the way you look at poetry and language itself. very fun, very puzzling, this book is different every time you read it. an absolute must for lovers and students of language. Through the resonant images of keys, this small book of avant garde verse and prose poetry illuminates the family history and interpersonal relationships of the poet, achieving self-awareness for the writer and reader, and releasing the obstacles to creativity. Or, to put the key in the lock, it is a delightful story of growing up and learning who you are. Non-linear and non-narrative in format, this chapbook, like the cycle of life itself, is a puzzle whose picture gets clearer as the pages turn... and you will find yourself in different places every time you read it. You will find yourself different every time you read it. And, as always, it is a love story; it is the story of the long, slow process of unlocking love for yourself and others. You will never look at a key the same way again. This chapbook of minimalist poetry shines a spotlight on the reality of modern interpersonal communication. A delicacy and subtlety unknown to Richard Brautigan permeates this work; a clean starkness visited only by Mishima; a clarity possessed only by the great haiku poets ~ this is conversations. 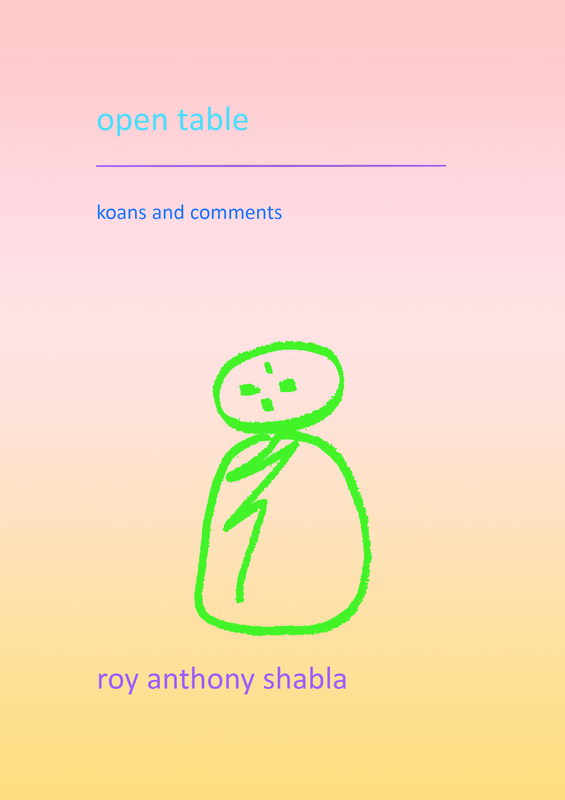 The first review: In his latest literary effort, conversations, Roy Anthony Shabla becomes the proverbial "fly on the wall". From this vantage point, he observes and light-heartedly describes the awkward social interactions inherent in the potential and ongoing relationships of others as well as his own. His inimitable poetic banter is both entertaining and biting and can even be, at times, poignant. A highly readable chapbook, conversations is a welcome addition to Shabla's growing ouvre. The lovechild of Dr Seuss and Philip Glass is a Zen master named, i write therefore i am. Or, i am not. This chapbook is a hall of mirrors which reflects more reality than fantastic or fractured distortion. It is a writer’s handbook on why we write; two poems about the soul of poetry. It is music and psychoanalysis and a string of epiphanies knotted like a cat’s cradle. Hypnotic, dizzying… the book is a "must read" for any writer and any reader who considers literature an essential part of life. This book is made up of two cycles of poems dealing with interpersonal relationships and communication. Using a setting of math and science, the poet explores romantic emotions and the idiosyncrasies of language. The poetry is simple and clear and the sentiments are universal. You will find yourself in this book. Karma yoga is selfless and benevolent activity ~ from personal acts of kindness, generosity, and hospitality to charity and activism in the world. This book documents a search for self through the personal journey of art and activism, graffiti and rebellion. (PEACE) WORDS is a highly engaging and motivational read. This book removes God from the stranglehold of religions and offers the reader the possibility of spirituality on a personal basis. eating God is a cycle of ecstatic poems chronicling the spiritual development, humanity, and true compassion of a friend of the divine. Prepare to be delighted, moved, and changed. Feng shui is the ancient science of architectural ecology which manipulates subtle energies to influence Earth-luck. Simple feng shui remedies can divert disaster and attract prosperity, romance, and vitality into your home. This book will change your life and the lives of those you love. This book tells the story of a boy who observes his strange family, friends, and acquaintances with a non-judgmental and sometimes compassionate and appreciative eye. A must read for those struggling with issues of identity and individuality, especially teenagers or those in psychological therapy. A quirky delight for everyone. This is a book of the early drawings which were studies for the now famous Jazz Poem paintings. Each drawing is a meditation and a mandala, a portal to peace.